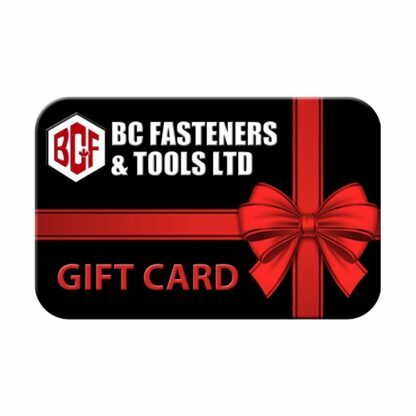 Take the guesswork out of gift giving with a BC Fasteners gift card. A great gift idea for birthdays, holidays and housewarmings. Perfect for any gift-giving occasion! Family and friends can get what they want, when they want it. Great to use as a “project card”. Never expires and no service fees.